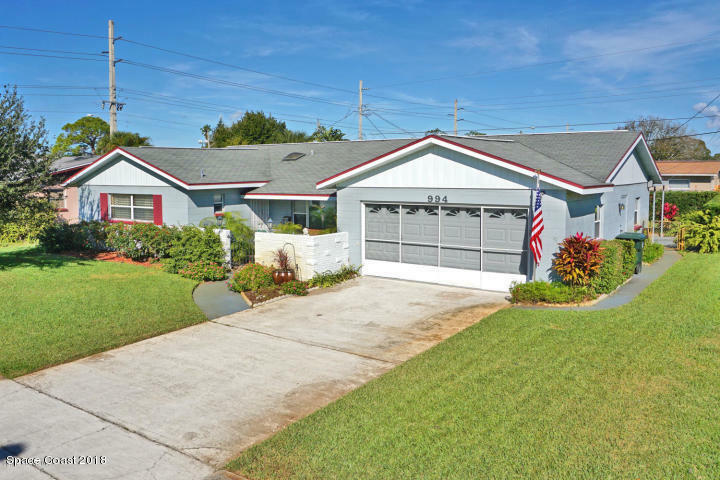 Located across from the Rockledge Country Club, this well maintained 3 Bed 2 Bath home is awaiting it's new owners. This home offers a living room, dining room, family room with fireplace and kitchen with breakfast bar. Upgrades include roof 2007, Trane AC 2016, water heater 2016, windows all replaced and upgraded, hood over range 2015,, security screen doors on entrance, screened doors for the garage. Over sized garage with utility sink. Gutters around the home as well as a fenced in yard and sprinkler system with new pump in 2015. Don't miss this one.